Tick tock, don't be late! Switzerland is known far and wide as being expensive, a mecca for offshore banking and stickler for punctuality. But this small country is so much more than that – with towns seemingly frozen in time, picturesque landscapes that take your breath away and a population of warm and friendly people always eager to help, Switzerland is quickly becoming a must-see European destination. This Switzerland travel guide will help you plan your next vacation. The Swiss high speed rail system is one of a kind and connects all major Swiss cities, so don't bother renting a car or flying between cities. Make sure to download the SBB app for your Iphone or Android device so as to have everything from train schedules, trip planning and mobile tickets for boarding right at your fingertips. But make sure not to get lost! Most businesses still close for lunch in Switzerland, generally from noon/12:30 to 1:30 or 2 – but this is changing, especially in larger cities. Many businesses are closed on Sundays while museums are generally closed on Mondays. If you are in need of a dire shopping fix, then make your way to the main train stations, like Zurich, Basel or Bern, which have attached shopping centres where shops (including grocery shops) remain open on Sunday. The weather in Switzerland varies greatly between different places, so be prepared for a range of temperatures as the mountains create a variety of local and regional microclimates. Most of the country has a central European climate with the coldest area being in the Jura (particularly the Brevine Valley) while the hottest being in Ticino (south), which has a Mediterranean climate. If snow-sports are your thing, the Alpine resort season stars around mid-December and closes down again once the snow starts to melt, which is around mid-April. Footwear – Pack a pair of lightweight, durable and comfortable shoes. 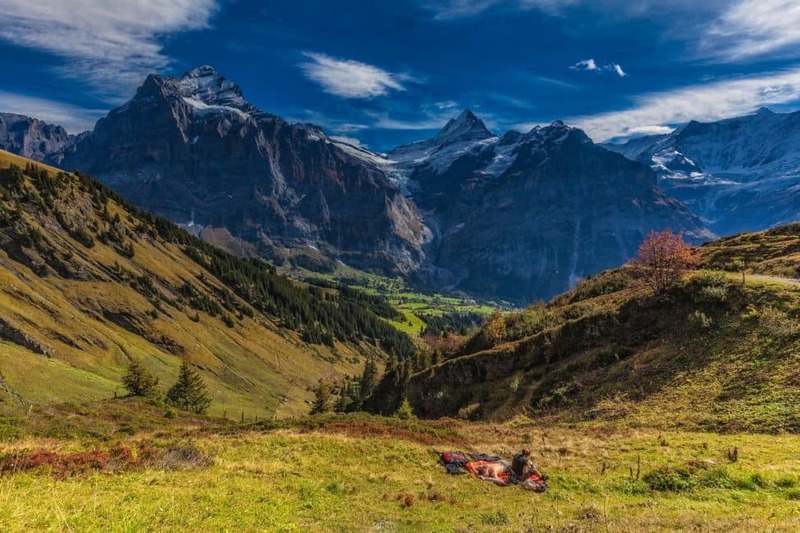 Known for its outside activities, including breathtaking hiking trails in the Swiss countryside, travellers eager to hike should pack a pair of hiking boots or trainers. Bring a water bottle – city water foundations provide an excellent, clean and cheap water supply – they can be easily found in all major cities. Layers – When traveling to different climates remember that layering is the key to effortlessly transition from cold to hot climates or vice versa. Cycle through the Alps on an E-Bike – Don't break a sweat, instead climb hills, whizz along on straightaways and glide through single lane roads on these crafty little electric bikes. Downhill Trotti Bike – from 2000 meters above sea level, board your trotti bike and race down a Swiss mountain on a 40 minute journey to the village of Grindelwald. Overcome your fear of heights – Find yourself clipped into steel cables as you climb trees, walk over dangling obstacles, balance on beams, jump on swings and surf over a span of open air at the High Rope Park at Gantrisch. Ski the Matterhorn – Switzerland offers the best skiing in the world and the Matterhorn is the crème de la crème. Snow is guaranteed 365 days a year, meaning that travellers can ski, snowboard, hike or snowshoe around the Matterhorn whenever they please. Climb a Via Ferrata – known as the iron route, via ferratas date back centuries and helped connect mountain routes. Ladders, cable bridges and wooden steps are attached to the side of mountains where brave souls climb routes daring not to look down as they tightrope across deep valleys. Visit Europe's Biggest Waterfall – Feel the roar and vibration of the rapidly falling waters of the Rhine Falls. Follow the adventure path which goes from Laufen Castle to the outlook platforms, allowing for an unobstructed view of this spectacle of nature or opt to take a boat ride into the Rhine Falls basin. Finish off your day at the Adventure Park on the north bank where you can glide from rope to rope with the Rhine Falls as your backdrop. Explore Bern – Bern, Switzerland is a UNESCO World Heritage Site and the political centre of Switzerland. It doesn’t feel like a political hub though, this city was made for walking. The walkways of Bern are all covered making for pleasant shopping in any type of weather.